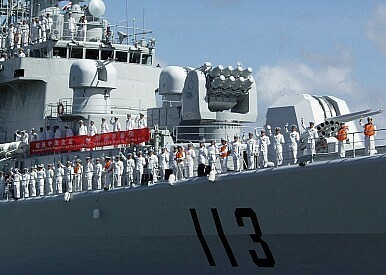 Until recently it was fashionable for Western PLA-watchers to contend that Chinese shipyards had slowed or stopped construction of major surface warships like DDGs in favor of smaller, shorter-range, seemingly more defensive-minded vessels like guided-missile frigates and fast-attack boats. They cited the dearth of clear-cut proof of DDG-building since 2005 as evidence of this supposed trend. From this they inferred that Chinese naval development had taken a less menacing turn. This was counterintuitive at best. And indeed, a series of photos on Chinese and Western military websites over the past few years dispels such sanguine prognoses. The images indicate that Chinese shipyards had already resumed DDG construction by 2010, when we essayed our prediction about Chinese shipbuilding. The PLAN may have found its premier surface combatant. Has China abandoned its “no first use” policy when it comes to nuclear weapons? No, says MIT’s M.Taylor Fravel.